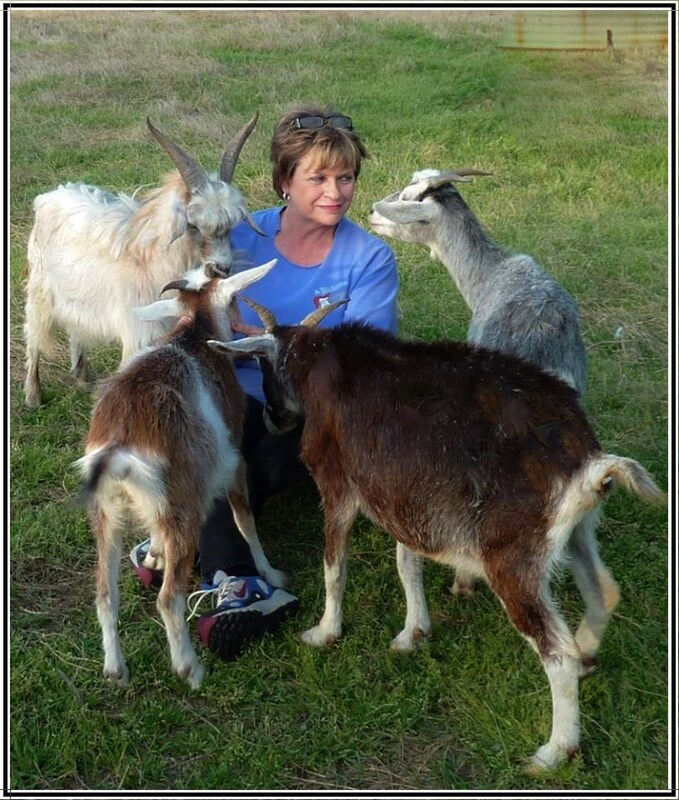 EG Kight – Singer, Songwriter, Entertainer Welcome to EG's website – for news about her music, photography, and pet goats! Crimson Moon, Peach Pickin’ Mamas, BMA’s in Memphis, Billtown Festival, and playing with my goats! I just wanted to post a quick update, to let you know what I’ve got going on. First, I wanted you to see how I spent the afternoon a few days ago. When I’m on the road, I miss my family. And I miss all my pets and from this picture it seems the goats miss me! I went down to visit them when I came off the road, and look how they greeted me! As most of you know, besides playing solo and with my band, I’ve also been blessed to team up with Lisa Biales as the “Peach Pickin’ Mamas,” and we just wrapped up another tour. Read all about it at http://www.PeachPickinMamas.com! I’ll be hitting the road again this weekend, with a solo show on Saturday night at The Crimson Moon Cafe in Dahlonega. Their website states that they exist to “support the creative spirit,” and that’s so true. It’s one of my favorite venues, and I’m thrilled that I’ll be back on their stage. I haven’t been on the road as much this year as I’d like to be, because I’m spending a lot of time in the studio working on my next album. I’m getting more and more excited about it by the day. I’ve got most of the songs recorded, and I’m working on a couple more new ones. I’ll be working hard with Paul Hornsby and my band over the next few months getting it all finished up. I can’t wait for you all to hear my new songs!! Last week at the Eatonton Putnam Arts Foundation 2014 Photography Contest & Exhibition, I won a couple of ribbons. 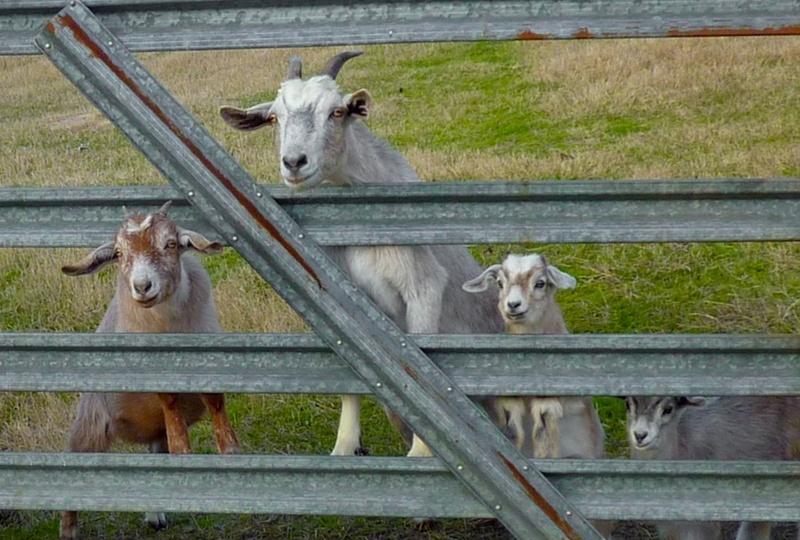 It seems that everybody likes my goats, because this photo, “Goats at the Gate” got one of the ribbons. You can see more of my photography at http://www.egkightphotography.com. I’ll be in Memphis for the Blues Music Awards next month, then in June I’ll be playing at one of my all-time favorite festivals, the Billtown Blues Festival in Hughesville, Pennsylvania. Keep an eye out on my schedule as we’re working on some new dates and I may be headed your way. Until then keep a song in your heart! I've made music most of my life, and I enjoy every aspect of it. I'm a roots singer, songwriter, entertainer, publisher, and producer. My musical style has been called “country-flavored southern-fried blues.” I've headlined at clubs, theaters and festivals across America and in Europe. And my songs have been recorded by artists across the genres. Even my mentor, Koko Taylor, recorded a couple of my songs, and they landed on her last two Grammy nominated albums. I've had songs on five major TV networks, and I placed five songs in a movie that's available on Amazon Prime. I love songwriting, and I love performing, and I love to see all my fans at my shows. I'll see you out there on the road!